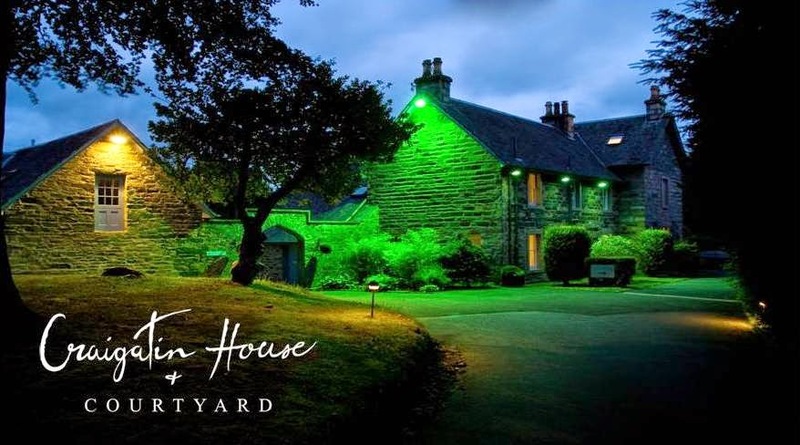 Craigatin House and Courtyard is an award winning, boutique, bed and breakfast hotel establishment located at a quiet end of Pitlochry town. Craigatin House and Courtyard bed and breakfast hotel is tucked away in secluded wooded grounds in the Highland Perthshire town of Pitlochry, Scotland., This beautiful early Victorian, former Doctors house, has now been beautifully transformed into an award wiining, 14 bedroom, luxury, boutique bed & breakfast. Providing a unique blend of the traditional with the luxury of contemporary design. City chic in a rural setting. The individually designed spacious deluxe rooms all have comfortable six foot wide beds and are decorated with stylish fabrics and furnishings and colour schemes. All rooms have large LCD TV’s with Freeview . We also have fast, free Wi-Fi access in all our bedrooms and public areas. For special occasions, our luxury suite has all of the above with the addition of a private sitting room complete with Espresso coffee machine and two large TV’s. 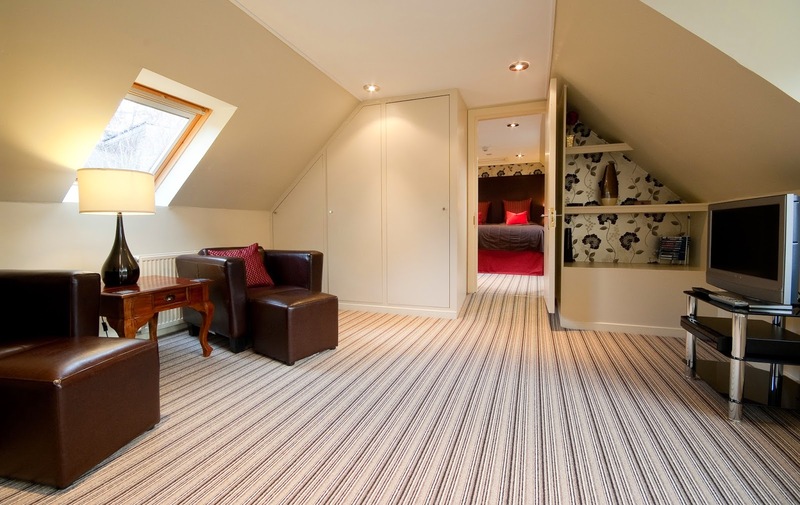 All our rooms have en-suite facilities with tea and coffee making facilities and hairdryer. Special diets catered for, off road parking available, ground floor deluxe double rooms and twin rooms available as well as a room with disabled facilities. 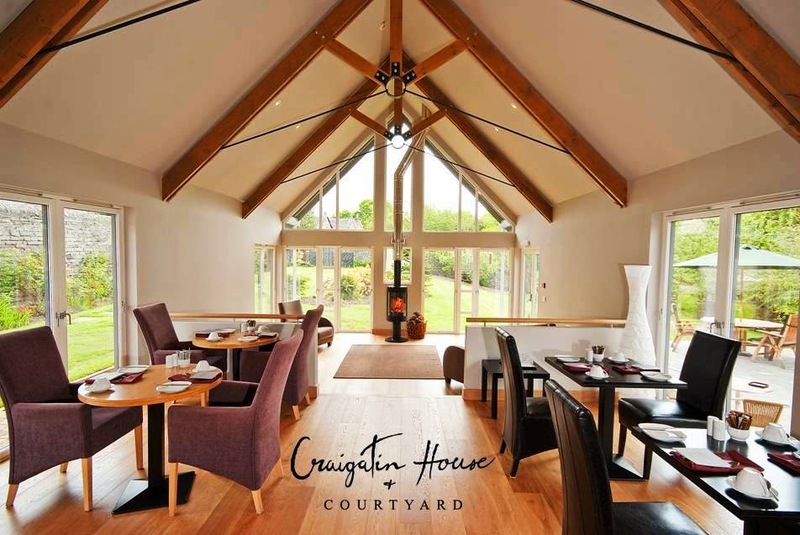 Children over 13 years welcome, Craigatin House is completely non smoking. Breakfast is served in our brand new modern, contemporary dining room, with large selection of books magazines and newspapers. 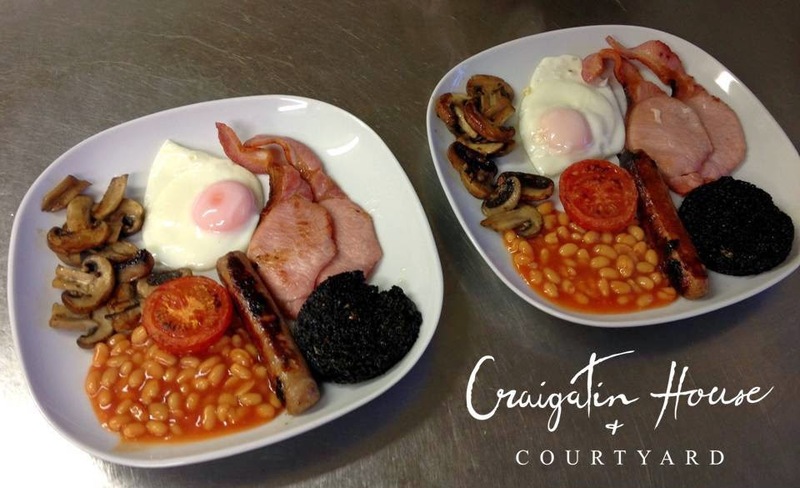 We offer a full range of breakfast choices including full Scottish, delicious pancakes and our famous Whisky porridge all prepared fresh to order. Flooded with natural light by huge modern windows with views across our large garden. 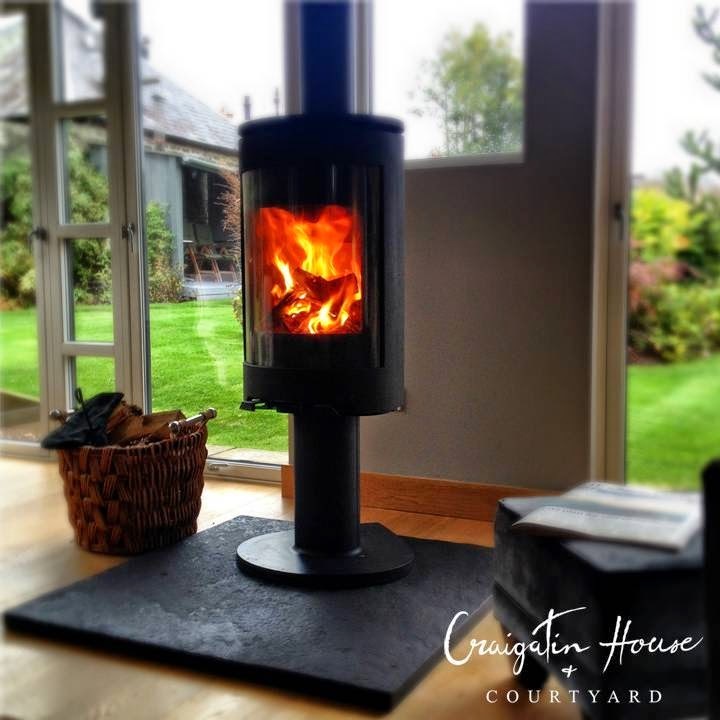 Watch the garden birds and occasional red squirrel visitors or relax in our comfortable guest lounge, all centred around our large and welcoming log burning stove. 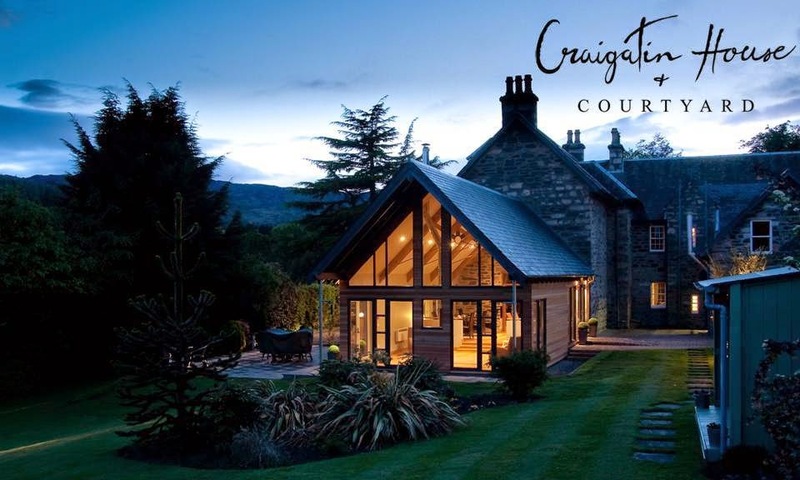 Craigatin House is centrally located in Pitlochry on Atholl Road, just minute’s flat walk away from all local attractions, shops, restaurants, Pitlochry Festival Theatre and The Dam & Salmon Ladder, and only a short drive to nearby Distilleries, Blair Castle and The House of Bruar. Pitlochry is set in spectacular highland scenery and is ideally located for touring Highland Perthshire or further afield. The town sits on the edge of the huge Cairngorm National Park and beside the beautiful River Tummel. With a backdrop of surrounding hills and beautiful woodlands, it is wonderful walking country, make Craigatin House and Courtyard your choice when staying in Pitlochry! 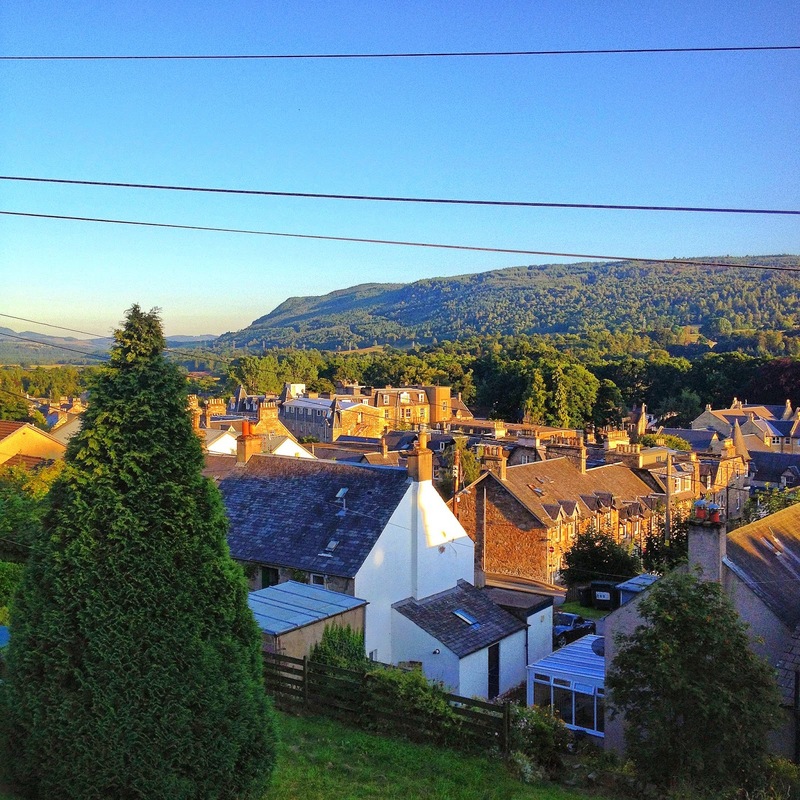 This entry was posted in Guesthouses in Pitlochry, Hotels, Hotels Pitlochry, Pitlochry Hotels and tagged Guesthouse Pitlochry, Hotels Pitlochry, Pitlochry Hotels. Bookmark the permalink.